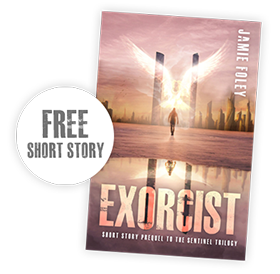 One minute, Josh is firing off sarcastic remarks at his best friend Marc—the next, they’re running from shape-shifters. H.A. Titus is a buddy of mine from Realm Makers! 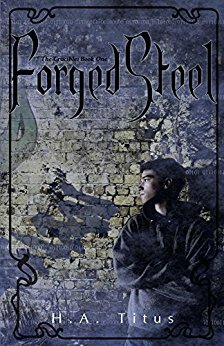 I grabbed a copy of her first novel, Forged Steel, at the Realm Makers 2017 bookstore. I really enjoyed this Celtic-inspired tale of the fae and their shenanigans. The story is enchantingly unique, from the way the fae interact with technology to the Underworld they scrape for a living in. Josh stumbled into the Underworld—rife with backstabbing fae and ancient powers—and he can’t get out. Great characters–they’re very realistic. Girls, I saw Eliaster first, mkay? Juicy plot line with ancient cyphers, legends, and betrayal. Who can you trust? Exciting fight scenes and an awesome slew of baddies to cut through with epic magic swords. Need I say more? A couple sections dragged for me a little bit, but I’m an adrenaline junkie, so take that with a grain of salt. If you love Celtic folklore and Indiana Jones, you’ll love this book. Grab it! Sexual content: No explicit content. Brief mentions of a female character who uses her good looks to her advantage, but the storyline does not feature a primary romance at all. Violence: Mild. There are plenty of intense fight scenes, but no unnecessary gore.